A seismic hazard evaluation in terms of 5% damped peak ground acceleration and spectral acceleration was carried out for the Arabian Peninsula using a probabilistic approach. For this purpose, a revised earthquake catalogue extending from 19 AD to 2015 AD was utilized, including all available earthquakes with magnitude greater than 4.0. The seismic hazard assessment was conducted in the framework of the logic-tree approach to take into account epistemic uncertainties associated with input parameters [seismic source model, recurrence parameters, maximum magnitude, and ground-motion prediction equations (GMPEs)]. A novel seismic source model consisting of 57 seismic zones is proposed as an alternative included in the modeled logic tree. The recurrence parameters were computed mainly using the doubly bounded exponential distribution. 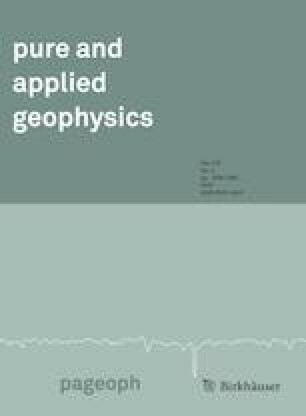 Horizontal ground motion in terms of geometric mean acceleration was computed for different spectral periods utilizing GMPEs borrowed from tectonic environments comparable to those surrounding the Arabian Peninsula. The 5% damped seismic hazard values at bedrock conditions were calculated for return periods of 475, 975, and 2475 years. Additionally, uniform hazard spectra for important population centers in the Arabian Peninsula are provided. The highest seismic hazard values were observed along the Zagros, the East Anatolian Fault, and the Gulf of Aqaba–Dead Sea Fault. The provided maps could be used to design the Unified Gulf Building Code. ASC. (2003). 1945—Off the Makran Coast (Balochistan), Pakistan, M w 8.0. Amateur Seismic Center, http://asc-india.org/gq/mekran.htm. Lloyd’s City Risk Index (2015). Middle East cities [online]. https://www.lloyds.com/cityriskindex/locations/region/middle_east.